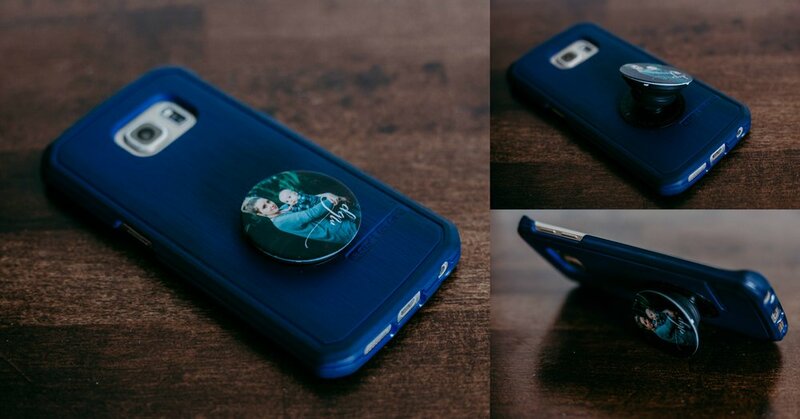 Have you heard of the PopSocket craze? I'm super stoked about adding them to the list of print products I offer! These things are awesome! Not only do they have a nice grip to them if you're like me and always dropping your phone, you can use them to prop your phone up and even buy an attachment to slide it onto so it can be mounted on any surface! My husband and I got ours today and the print quality totally blew me away for such a little image. Mack wanted my logo on it to be able to rep my brand but you totally don't have to have the logo on it when you order one (although if you do there's a nice little discount)! Keep an eye out for more blogs to come with product samples, I'm super stoked about it them! Why should you print your photos? Why spend the money to hire a professional photographer to let your photos collect digital dust on your computer? Display those photos! The difference between printing through me, your professional photographer vs. Walmart or Shutterfly or whatever other cheap lab is that the vendors I go through for print products only partner with professional photographers. The prints are made to last and will become treasured keepsakes for generations to come! This morning I conducted a survey in the Boudie Community after watching the latest This Is Us episode. (SPOILER) Jack ran into the house to save his daughter's dog and get the family albums and it really left me thinking: in the event of a fire, do we grab electronics, or photos? Photos were the second most chosen items! In the event losing everything in a house fire, most chose to run and grab photos. THIS is why it's so important to me to provide professional printing. THIS is why I'm so passionate about prints! I offer so many print options to fit your every need so contact me today to schedule your phone consult and book your session! Time moves so fast, let me capture those intimate, candid moments that make your family special. If you haven't checked out my Boudie Blog, do it! Thats where I blog my boudoir sessions!